Specialist Metallic is an on-trend streamlined ladies’ style. 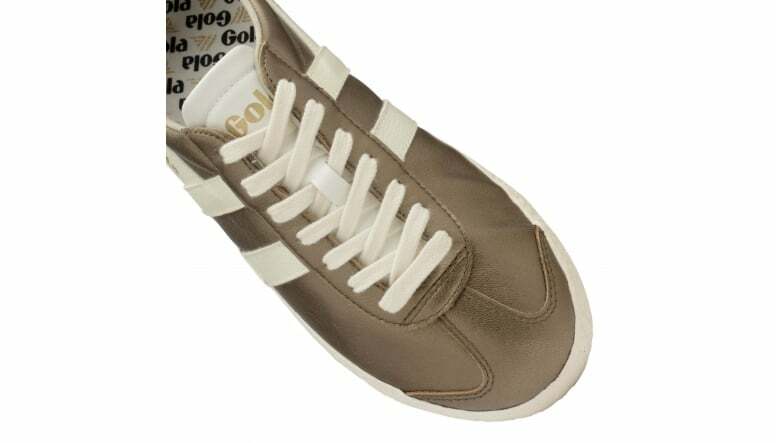 This low profile trainer fuses two training silhouettes from Gola’s 1975 catalogue. Featuring stand-out metallic gold uppers this is an on-trend style. 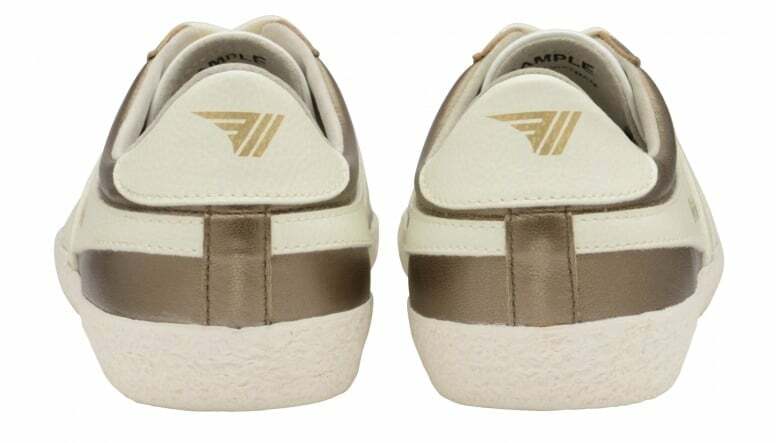 Additional features include a white leather wingflash, a white tongue and a white sole unit which is complemented by deep edge foxing. 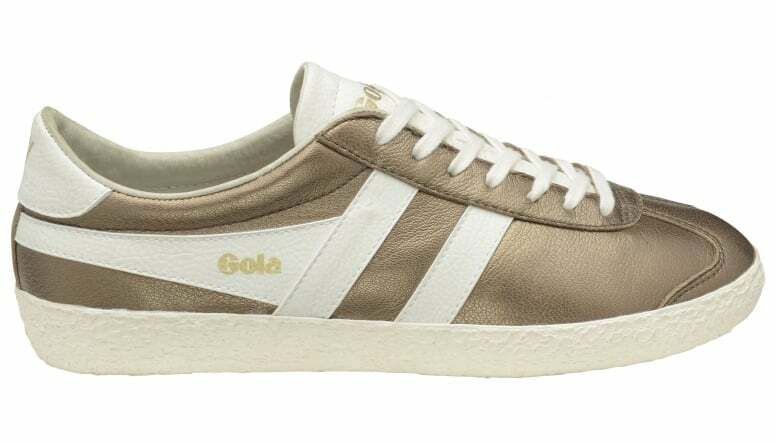 Gold Gola Classics branding can be seen on the wingflash, tongue and heel turn. Specialist Metallic is also available in pewter.